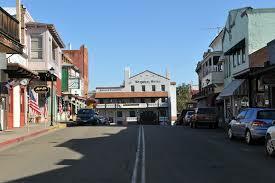 Discover the Old West on the main streets of Amador County as you walk through historic gold mining towns. 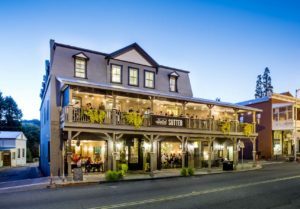 This Charming, 150-year old Main Street boasts one of California’s oldest and most notorious establishments, the newly renovated National Hotel. 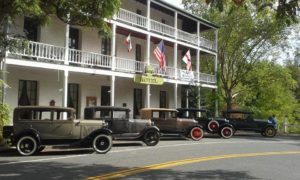 Antiques, the Amador County Museum, gift shops, popular eateries, even a steam punk-themed bookstore attract shoppers and history buffs. A Gold Country adventure isn’t complete without experiencing the miner’s way of life on a tour of the legendary Kennedy Mine. 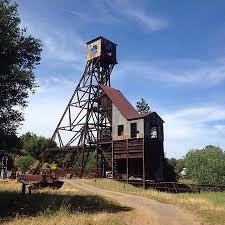 Visit The Historic National Hotel, The Kennedy Gold Mine and The Amador County Museum, Antique shopping anyone? Let’s visit Antiques Upstairs – Antiques Upstairs consists of multiple antique shops in one location, then Antiques Downstairs is a Co-op with 15 different antique and vintage vendors! 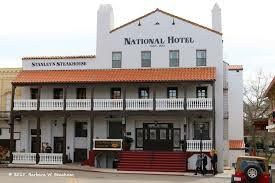 Built in 1852, the National Hotel in Jackson, CA was rebuilt after a fire eleven years later. This grand structure was visited thereafter by many kinds of travelers throughout the Great California Gold Rush and then through the turn of two centuries. Thoughtfully renovated with impeccable richness while preserving its historical roots, the National Hotel is a treasure. Original, refinished furniture and artwork grace the lobby, halls and rooms. The hotel anchors downtown Jackson, California, with old-fashioned charm and authentic character. Each guest room and suite is utterly unique, inspired by the original Victorian decor, while comfortable and elegant. Original furniture has been painstakingly restored, while luxury linens and modern amenities greet each visitor. Elegant en-suite bathrooms include graceful inlaid marble stone heated bath floors. Prospected in 1860, reorganized in 1886 and continuously run until 1942, the Kennedy Gold Mine produced approximately $34,280,000 in gold. One of the tallest head frames in existence today can be seen at the Kennedy Mine. The mine also had one of the largest stamp mills in the Mother Lode, moving tailings by means of huge wooden wheels, some of which are still standing. March Through October. 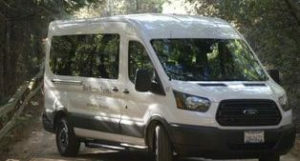 Admission includes a FREE guided tour, an interesting, in-depth, and educational tour of the grounds (about 1.5 hours). A self-guided tour book is also available. This historic 15-room classic Greek Revival dwelling in Jackson, CA was constructed in 1854 to be the home of Armstead C. Brown (January 10, 1816 – early February, 1903). He was an American farmer, miner and lawyer originally from Wisconsin. He moved to California as a 49er where he became one of the founding fathers of Amador County. Brown took up residence in Jackson in 1851 and became a merchant, bringing his goods by team over the mountains from the coast, resumed his law practice and Between 1863 and 1869 he served three terms as a Democratic member of the California State Assembly. As the County Museum, his home now houses collections that include a Gold History Exhibit, fashions of the past, a Victorian bedroom and parlor, a Native American collection, a Chinese American collection, and much more. A separate building houses the Mine Model Exhibit, working models built to scale of a Kennedy Mine tailing wheel, a hard-rock mining head frame, and a stamp mill. The museum at overlooks historic downtown Jackson. Amador County Museum’s Kennedy and North Star Mine Model Exhibits include three operating models of mining structures. 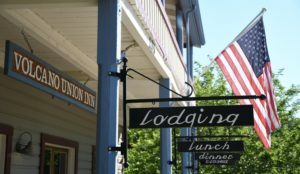 With Incredible vistas, Kennedy Gold Mine, The Amador County Museum, Antique Shopping and the National Hotel, Jackson, it’s a combination that’s pure gold. Sutter Creek is truly the heart of the California Gold Country. John Sutter made camp here, trying to avoid the gold rush crowds, but miners soon spilled in and made it a town. Mining boomed and then faded, making way for today’s contagion: wine fever. In and around Sutter Creek you can mosey along sidewalks shaded by filigreed balconies. Sutter Creek is 100% walkable. A simple stroll down Main Street leads you to quaint Bed and Breakfast Inns, wine tasting, locally-owned boutiques and galleries, antique stores, Victorian residential neighborhoods and tiny beautiful churches. In 1851, where Hotel Sutter now stands, the American House hotel was built and became very well-known under the direction of Dwight Crandall. On September 9, 1865 when a fire swept through Sutter Creek’s business district burning the hotel to the ground. the Belotti Inn and now under new-ownership and management, Hotel Sutter. The hotel’s rich past still comes alive through its brick structure that takes on the sophisticated elegance and amenities designed for today’s modern guest. Both Bella Grace offers multiple tasting experiences in our 1860’s era tasting room. Reserve tastings of limited edition wines are also available each week only at the Sutter Creek tasting room. 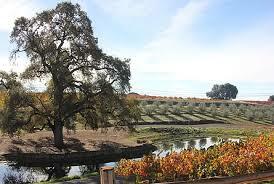 Scott Harvey Wines are made of the best varietals from Amador County, California. These worldly wines include an Old Vine Zinfandel, a Syrah (Rhone), a Barbera (Italian) and a Port (Portuguese). Scott’s roots are in Amador County which has allowed him to develop considerable expertise with these varietals. The story of 1850 Wine Cellars as a winery, mirrors the spirit of the early settlers and viticultural pioneers in many ways. 1850 began with a shared vision of exploring the gold country areas of Amador, Fairplay and El Dorado to put down roots… just like the early settlers. each one unique, but all with a strong connection to the land on which they’re grown. And too many other to list…. Sutter Creek – Shopping Shopping Shopping!! Cozy Collectibles is filled with collectable coins, sports cards, prospecting equipment and metal detectors. They also carry a treasure trove of unique jewelry. Creekside Shops has over 20 different spaces at this dealer-owned co-op offer diverse items from beautiful furniture pieces reflecting the elegance of the past, to cut and pressed glass, antique and costume jewelry and charming collectables. You will find unique home accents, quality gifts for any occasion and that something special you were hoping to find. Our table top decor is sprinkled with specialty platters, plates and bowls for that special event. We have apparel, handcrafted jewelry, goat milk soaps and lotions, daily tastings of pepper jellies, infused olive oil and vinegars from the local foothills and wine barrel treasures. Chaos Glassworks, showcase, and sell unique and distinct glass artwork. Their products include bowls, plates, and pendant jewelry. They also specialize in creating custom artwork for the home including floor lamps, sculptures, and pendant lighting. Their products make for attractive conversation pieces, as well as memorable gifts. The Antique Gardener, located in Sutter Creek, CA offers a blend of antique, vintage and new for your home & garden. Picnic in the garden with friends or sign up for a class. Stop in often to see their ever-changing displays and great new finds! A boutique consignment shop featuring high end clothing, jewelry, purses, shoes, and anything pertaining to women. Consignments are welcome. Browse and buy from a delightful array of antique and collectible glass lncluding milk glass, blue glass, Depression glass, all types of lovely glass from the past. Fill out your own collection of precious glass objects or start a new collection from the beguiling merchandise available here. Stop in and look around to enjoy the bounty of beauteous “smalls,” mostly glass but also in brass and other media. Call ahead for days and hours open. 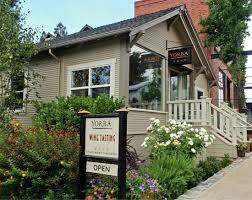 Ready for a day of shopping in the prettiest old west town on earth? It’s Sutter Creek for you! This classic old west town is named for its setting in a bowl-shaped valley which early miners thought was caused by a volcano. The early morning fog rising from the valley floor only reinforced that belief. Barely 130 people live in Volcano today. Volcano was a rip-roaring gold town with more than 5,000 inhabitants. Nearly $100 million was extracted from the area. Because there were many Southern sympathizers during the civil war, a cannon was brought to Volcano to protect outgoing gold shipments to the Union side. It remains on display a few feet where no firing ever happened. While some guests may prefer to stay in the more modern rooms of the annex, the original architecture and ambiance of the main building will offer guests a feeling of serenity and simpler times. Depending on who you talk to, it is rumored that ghosts roam the second and third floor of the hotel, with one room specifically being haunted. The lovely and magical grounds of the St. George are a joy in every season. The main floor of the St. George Hotel has 3 sections: The “Parlor” with 12-foot ceilings and a grand fireplace; The “Dining Room” home to some of the finest food in the County; and The “Whiskey Flat Saloon” which was added to the main structure in the 1930’s and is a great place to have a drink, explore the bar memorabilia on the walls, and meet the locals. 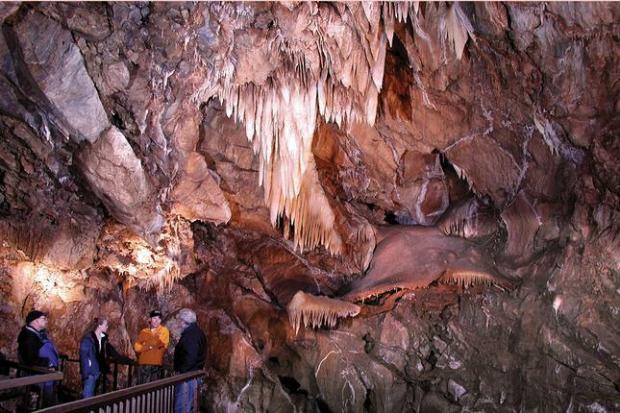 Black Chasm Cavern is a National Natural Landmark open year-round. 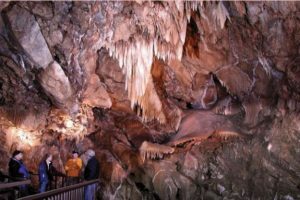 Visitors to the cave are enchanted by the beauty of a wide variety of formations including stalactites, stalagmites, flow-stones and the vast arrays of rare helictite crystals, for which Black Chasm Cavern is justly famous. On the 50-minute guided walking tour, descend a series of stairs and walkways that loop around the formation covered caverns walls. Here, flowstone interspersed with stalactites, draperies and helictites compete for space above the stairways. McLaughlin’s Daffodil Hill is a multi-generational project which has it’s origin in a family garden dating from the late 1800’s. Today it has become a full scale tourist destination attracting thousands annually to this beautiful site near Volcano.Daffodil Hill is in a beautiful alpine setting at an elevation of over 3,000 feet. With pine trees, an old barn, wagon wheels, and rusting mining equipment and farming tools, it appeals to anyone with a love of nature. Flowers are everywhere, with pea-fowl, chickens, pigeons and lambs making themselves at home. Approximately 7 acres of the 540 acre Daffodil Hill ranch is dedicated to daffodils. It features as many as 300 varieties and, if the weather cooperates, in excess of 400,000 annual blooms. The number of bulbs planted each year depends, in large part, upon the donations received from welcome guests. There is no admission charge or parking fee to visit the family ranch, but they do have yellow teakettles and pots around so that anyone, if they desire, may donate to the project.Nature sets the schedule for public viewing. 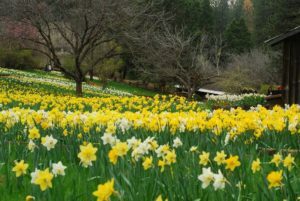 Daffodil Hill opens when 25 percent of the flowers are in bloom and closes when only 25 percent remain. Open daily during blooming season – Typically Mid-March thru mid-April – 10am to 4pm. 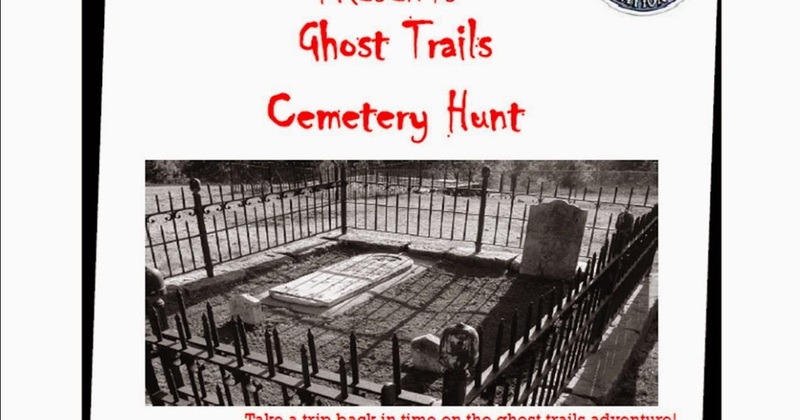 You are invited to take a trip back in time on the ghost trails adventure! Go on a scavenger hunt through the historic Pine Grove, Aqueduct and Volcano cemeteries. 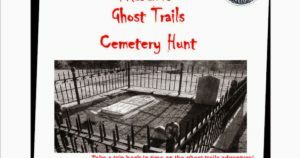 Use your map to find specific cemeteries on the adventure and the headstones that match people in the short stories of pioneers, their journey west and settling in Amador County. Packets are $10 each, available at the ACRA office. 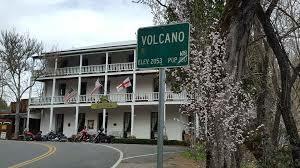 Volcano Union Inn and Pub is an 1880s saloon and boarding house reborn as a California Pub and Four-Room Bed and Breakfast. 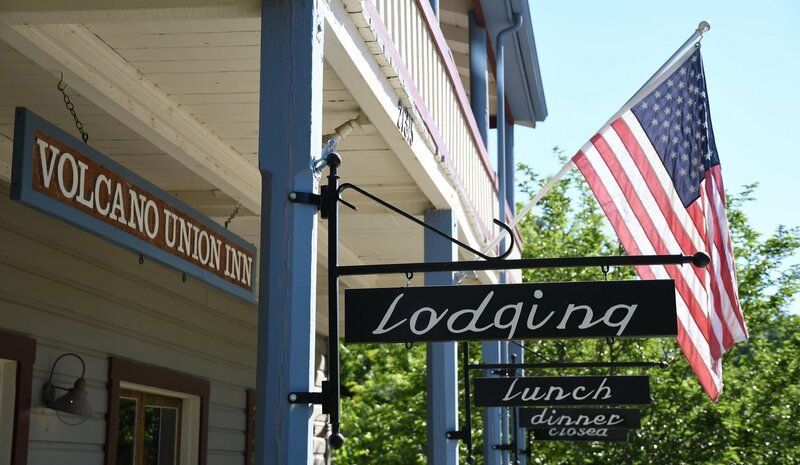 The Union was built in 1880 by four itinerate French Canadians for $400. It was a boarding house for hard-working miners and locals until the 1920’s. It enjoyed a brief reawakening in the 1950’s, and finally it was restored into a lovely destination in 2000 by the David/Burney Family. Since 2009 The Union has become a lively locals hangout and visitors delightful discovery. Offering fresh seasonal pub food, four comfortable and modern guest rooms and special event space. 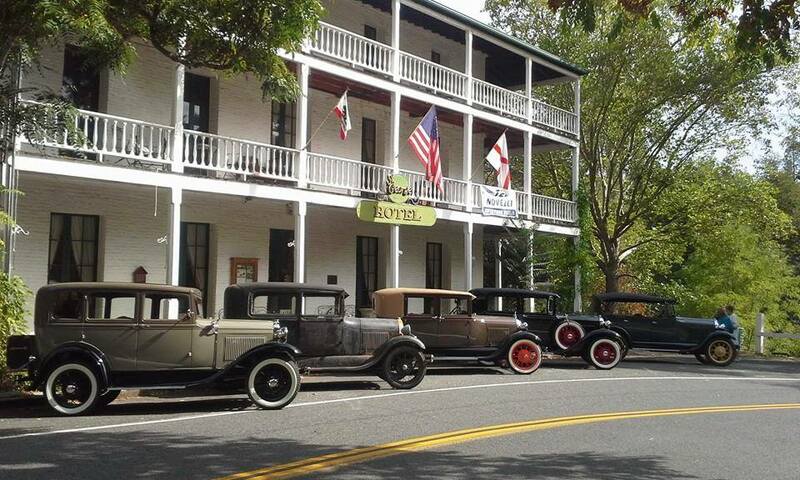 Ready for some fun in one of the Gold Country’s charming old west towns? It’s Volcano for you! This wonderful California region took flight during the Gold Rush of the 1850s. If you’re ready to book or have addition questions give us a call at (209) 223-5300. Look no further for the Best Amador Wine Tour and Old West Gold Country Tours in Amador County and The Shenandoah Valley.